The design allows for easy access for wheelchair users as transferring across onto the seat is unrestricted. The patent door and jamb are made from aluminium and the lock is very easy and safe to operate, and comes with a lifetime guarantee. At 110cms, we have the widest door available making it so easy to access for persons with severe mobility problems. Chromotherapy lights help to relax or invigorate you depending on what colour you choose. 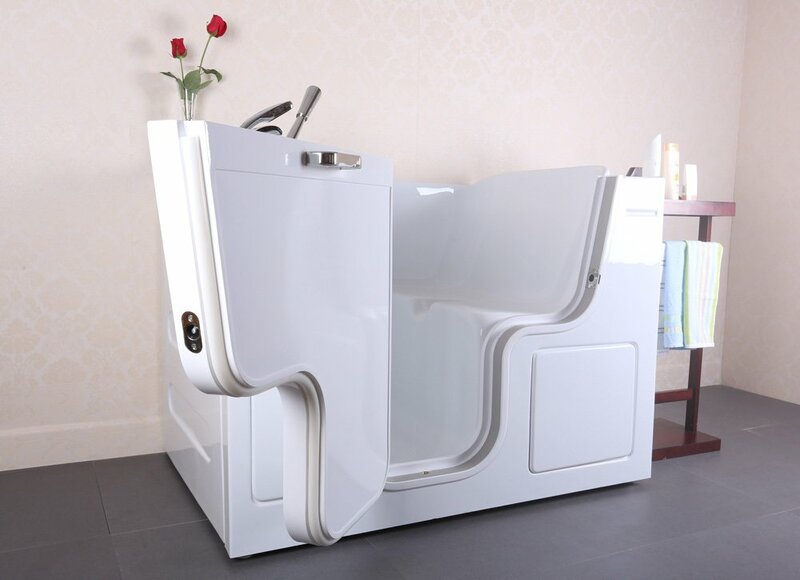 The latest Micro bubble spa system from the US gives you a softer Hydrotherapy massage and the air jets automatically purge any water from the system after bathing. Fill the Aromatherapy point with oil and it will radiate into the room giving you a sense of wellness. Full tap and shower set. Air Jets with self purge. Heated back and seat area. New patented Hydrosense micro bubble spa system. Left hand & Right hand versions available.